We people are lazy. And honestly, I understand why! We have so much on our plates already. It’s hard to find time or energy to do anything extra on top. That’s how most of us are and I guess it’s just a part of our human nature. Being a lazy gal and putting things off felt like a normal thing to me, most of my life. I used to come up with amazing ideas and projects that would drive me crazy (in a good way! ), yet their size or the amount of work always pushed me away. The list of unfinished projects was growing with my age and it helped things like depression and low confidence to creep into my life. However, I don’t want this to be a sad reading! And I’m happy to say that I finally found a way to crush my unfinished projects with ease. It doesn’t change the fact that you have to work for what you want, but it makes things easy enough to keep going instead of abandoning them again and again. So here are my steps to success! 1) Admit you’ve been neglecting it & forgive yourself. If you’ve been hiding from the fact that you still haven’t finished that business project or bathroom remodeling – admit it. Accept that you’ve been lazy and try to find some compassion for yourself. It’s not like you abandoned your goal because you like to be drowning in your own guilt-talk. 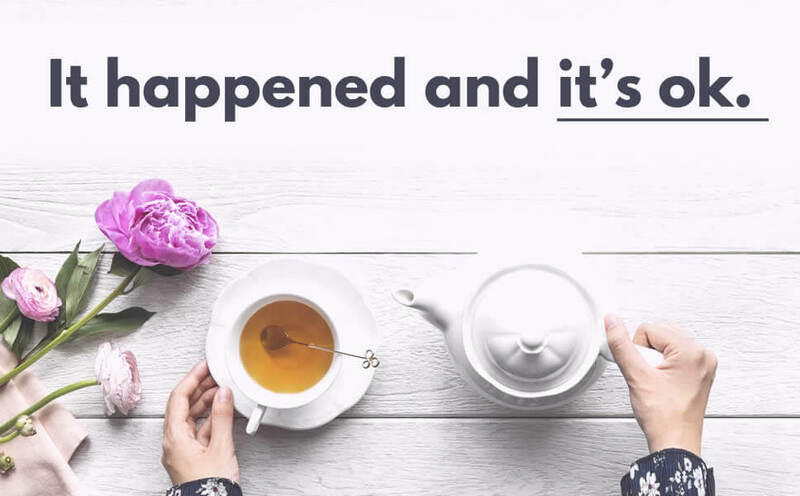 You put IT off because SOMETHING was off. Maybe you didn’t have time. Maybe the budget was a little tight. Or you haven’t been feeling well (physically or mentally – both are legit reasons). That’s ok! You’re going to change that from now on, so stop punishing yourself with bad thoughts or criticism. 2) Find a reason to do it. If you can’t find an important reason WHY you want to finish this thing then, well, you probably won’t. It’s time to create a list of all reasons why finishing this project would be great. Often, If I can’t find any plausible reason to do something boring or unpleasant, I do it for the sake of comfort. It’s hard to relax and live a happy life when something is constantly buzzing in the background. 3) Start with a plan. Planning is still the best way to start doing things that need a lot of time, work or effort. We all know it, but do we actually take time to plan? Making of a plan takes all the information out of your head so you can systematize and arrange your steps. Honestly – any project or job (of any size!) can be done faster and with less ‘pain’ when backed up by a great plan. When I was creating ShineSheets, I thought it would take me much more time than it really did. In fact, it was fast and really enjoyable thanks to the simple system I tried to follow. How do you create a plan that’s not complicated, yet informative enough to help you start and keep going? Can you use any resources to make it easier? Even if it’s something simple, like cleaning your closet, spending some time to think through eliminates unnecesarry mistakes. BREAK DOWN THE TASKS. The thing you need to finish may look hard, intimidating or scary. That’s fine – it’s not so big when crushed to pieces. Break all big tasks into smaller steps until it doesn’t feel hard at all. Let’s say you need to declutter your garage. That’s a huge project! Now, would it still be as huge if you decided to do it corner by corner? Still big? Ok, maybe you can take each corner and break it further – to specific objects or furniture? Furniture – to drawers or boxes? Narrow down as much as you need, until it feels easy. *If you are using the ShineSheets Project Planner for this step, I recommend having a separate Task Breaker for each breakable task. That way you can have a clear view of what needs to be done in every task + it’s not all mashed up in one place). SET UP A BUDGET. Decide how much you’re going to spend on this project (if needed) and stay within that budget. Only add more if really needed. TRACK WHAT’S DONE. This one is important. Tick or checkmark every task you’ve finished. Even if you didn’t write a plan for this project, I would still recommend listing things that you’ve done (even on a scrap of paper). Sometimes people tend to underestimate their own work, especially women. But in reality even the smallest thing – like getting up in the morning – is already something to be proud off. If you don’t believe me, ask any depressed person how much energy it takes for them to get up and leave the house! SET DEADLINES. A deadline is needed to keep you on track. Make sure to extend it if you feel like this deadline is making you neglect yourself, or you’ve been putting off your self care. If you’ll burn out, none of your projects will matter anymore. BRAINSTORM & TAKE NOTES. This is optional, but I feel like it’s really useful to brainstorm extra ideas while in the progress. You may find ways to make the process faster or easier + save your precious time. Also, take notes about everything and keep them with your plan. You’ll encounter small pieces of information all the time so it’s best to write them down. Let your mind rest – anything written down is a weight off your thoughts. Like this system? 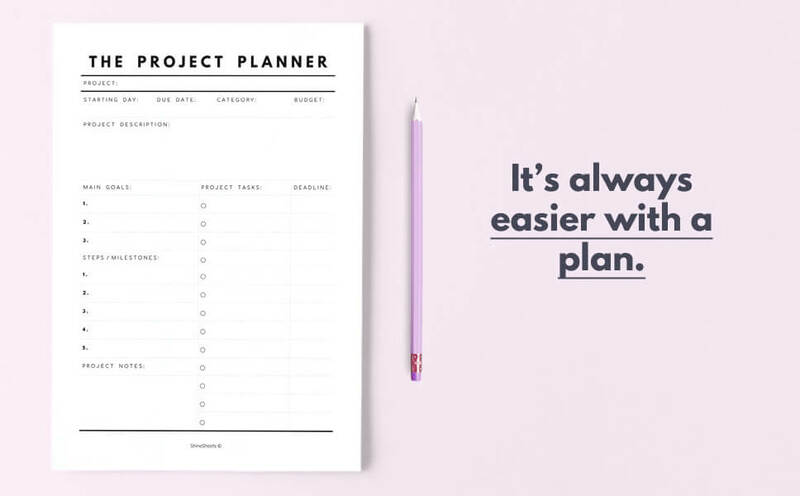 Grab a printable, ready to use project planner and start, execute or complete any personal, academic, work project without losing your head. It features all system steps and is able to tackle even the biggest projects – expand your planner whenever needed by printing extra pages of task breakers. Sounds hard? Trust me, it’s the opposite! Just give it a try and see yourself. Ready to plan your life and (finally!) organize it all? 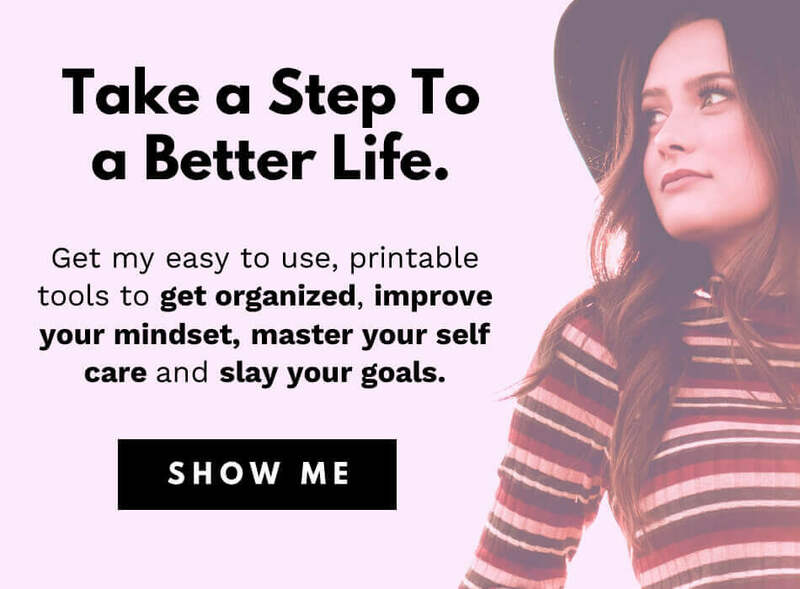 Check out printable personal growth tools – all ready to be downloaded instantly so you can start just now. 4) Get help if needed. This post contains links to products I love. I may receive a small commission If you buy something through these links – at no extra cost to you. Thank you for your support! Sometimes we take too much on our shoulders, even though there is absolutely no reason to do everything alone. Too much work weight on one person is a straight way to burnout so if you do find yourself getting tired or late with your deadlines, look for a helping hand. 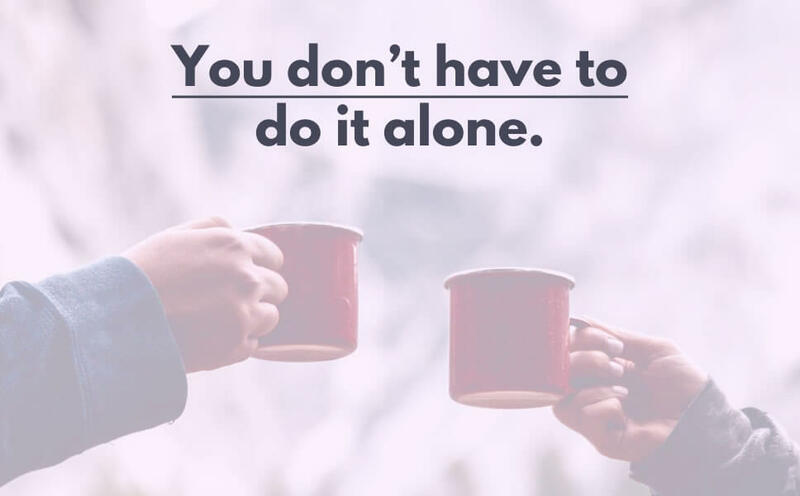 If there is no one around to help you, you can always find help online. There are many websites that offer an amazing range of services for irresistibly small fees. One example (and one of my favorites) is Fiverr – a place where freelancers from different fields offer their services starting from 5$ (I mean, that’s incredibly cheap). I use Fiverr both for my business and personal tasks and it’s amazing! The thing I love the most about Fiverr is that you can find a professional for literally anything. There are people who will develop a business plan for you, work as a translator or your virtual assistant, be your digital marketers or personal graphic designers, data writers – the list goes on! All prices start at 5$ and you usually get A LOT for that. This one is incredibly important. Since you’ve already decided to do this thing, try your best to enjoy it. The easiest way to do that is to celebrate every small thing you’ve done on this project. Of course, you can stay angry about the fact that you have to do it at all (“darn, I could be watching Netflix right now” – me, all the time). But constant negative self-talk will only slow down your progress. If you find it hard to conquer negative thinking or have a tendency to overthink things, I recommend journaling activities to start feeling better. Better mental health = more energy to do anything. It’s really possible that you’ll encounter some step backs, especially if your goal is big and long-term. But just remember that nobody is perfect and many people have quit their projects and dreams even before the first step. Is there anything you’ve been putting off for too long? What’s your way to finishing projects faster? Share in a comment down below! Good luck! Nice tips! I think you’re right, we all underestimate all the little tasks that we’re doing during the day. Why not acknowledging that the dinner we made was super tasty and be proud of it? Of course, if you work remotely and have a very important task to finish asap, then cooking a dinner might not be a good idea, but in general, we should learn to celebrate even small achievements. I think it’s also a good idea to get familiar with a couple of motivation hacks (example: https://kanbantool.com/blog/a-few-motivation-hacks-we-all-need ) and use them whenever you feel that your motivation goes down. To make stuffs easy for me, I always try to find a reason to do that. I don’t care the reason, I just need something to hold on to while I fix my mind on completing whatever it is. That’s perfect! 🙏 Thank you for sharing! Can’t agree more! Thank you for sharing! I always tell myself that I’m going to change my habits from now on, but I keep going back to the same thing. Sure thing! I need to stop telling myself that I can’t change. It’s horrible having to postpone the same thing over and over again. It can also be demoralizing that there’s no motivation to get you going. But I guess I don’t need to discourage myself. I totally agree that any project or job can be done faster when it is backed by a good plan. It would ease the time and effort you’ll put into trying to get it done any way you feel. I guess a project planner would go a long way in making the whole process easier. If I buy, can I print on both sides of the paper? Great article! I’ve been skimping on wayyy too many projects recently and this motivates me to keep pushing forward 🙂 Thank you!